Sorry for the lack of posts this month. We’ve been busy with family and business issues; and, as any food blogger knows, blog posts take a lot of time what with fixing the meal, taking the photos, selecting the photos to use, cropping the photos, trying to figure out what to say in the post and finally putting it all together in a post. In fact, in many instances, the least amount of time spent on the blog is fixing the meal. Given we have been working later than usual, we’ve had several instances where we simply haven’t wanted to cook dinner and deal with the clean-up; so, we have gone out to a few of our favorite restaurants in the area. Other times, it has been so late we simply haven’t had the time to line everything up and photograph the process. Then, there have been times we fix something that is good but simply not blog worthy, like a tasty, simple sandwich that any teenager can fix without instruction. There also have been a few instances where we simply wanted to repeat a prior recipe because we like it. 🙂 Finally, I simply haven’t had a whole lot of time of late to put everything together in a post. Take this post, for instance. We made this meal 3 nights ago after I found these beautiful scallops at the market on the way home. I was able to post a photo of the meal on the REMCooks Facebook page but it is only today that I have finally been able to catch my breath enough to post about it. This meal is so fast to fix, it is perfect for busy nights when you don’t start cooking until 6:45 pm or so and want to eat by 7:00 pm. It really is that quick. Even with staging, I had this meal ready in 20 minutes (including the sides) and cleanup was a breeze. 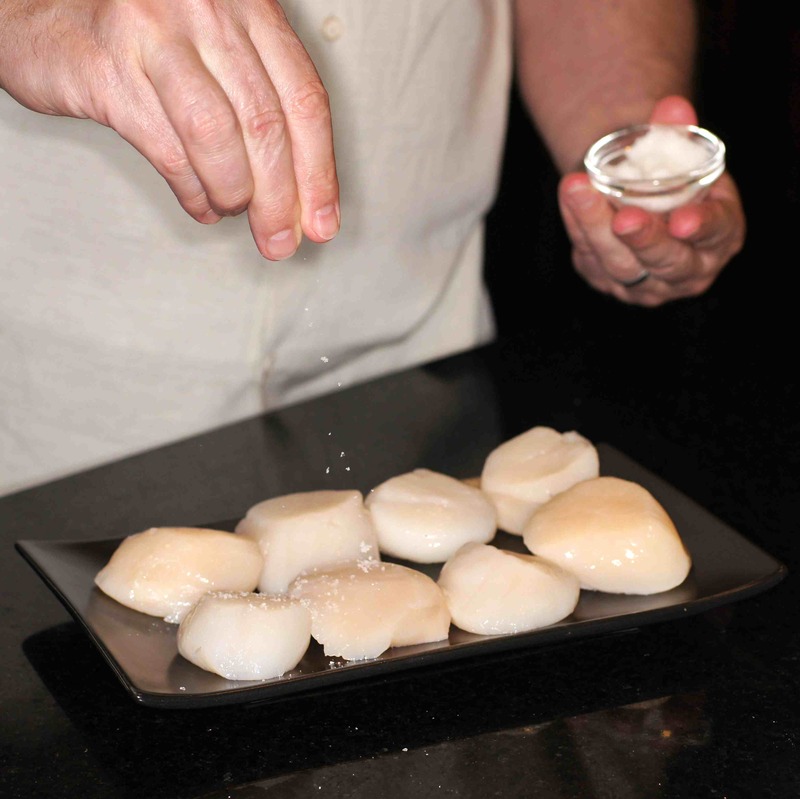 It’s very simply prepared with simple ingredients and the real star of the show is the delicious, plump, tender scallops. So, when you’re pressed for time, keep this recipe in mind. This is what we did. 8 nice, dry packed, sea scallops, roughly 1 lb. 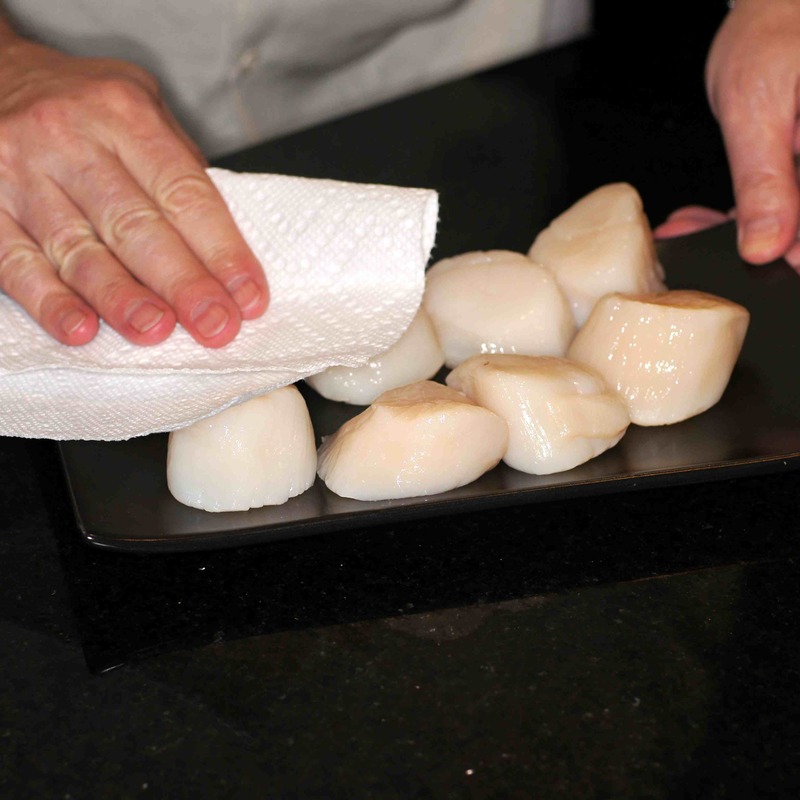 First, pat the scallops dry with a paper towel. 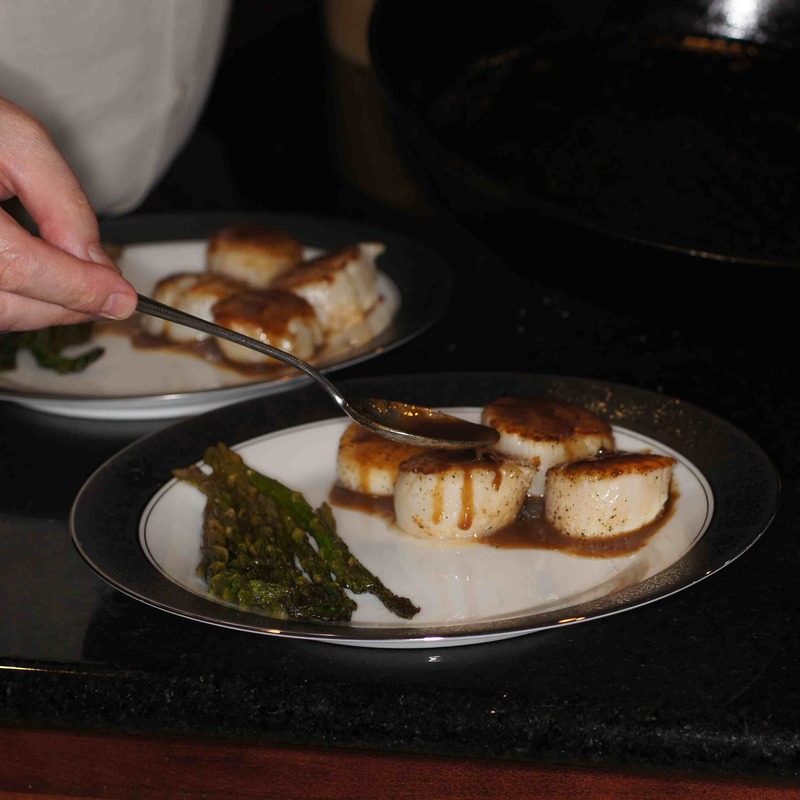 This allows the scallops to caramelize and develop the nice little brown crust. Heat a heavy bottom skillet over high heat. 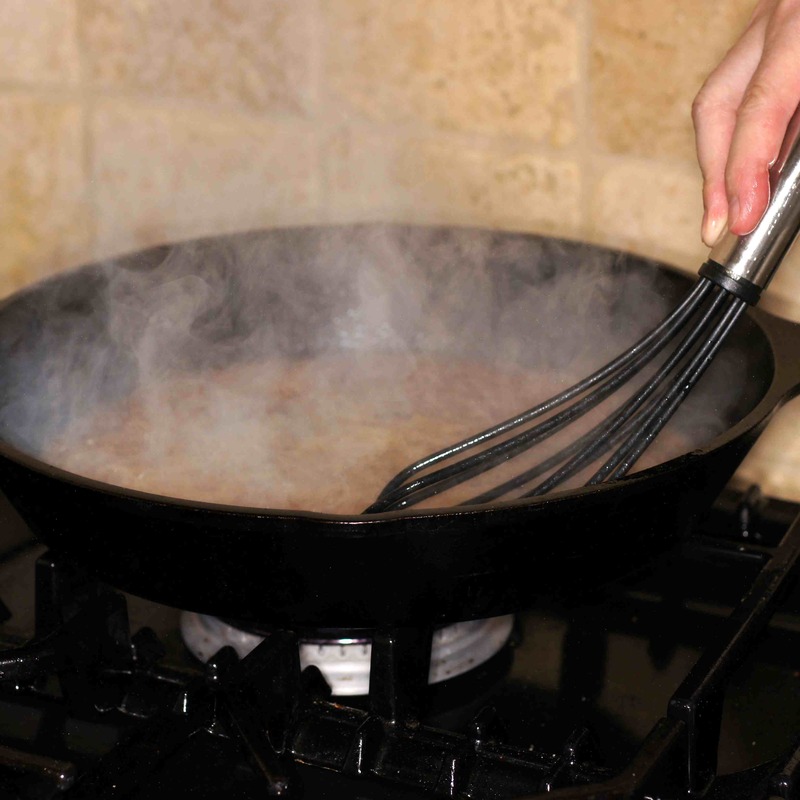 Do NOT use a non-stick skillet. 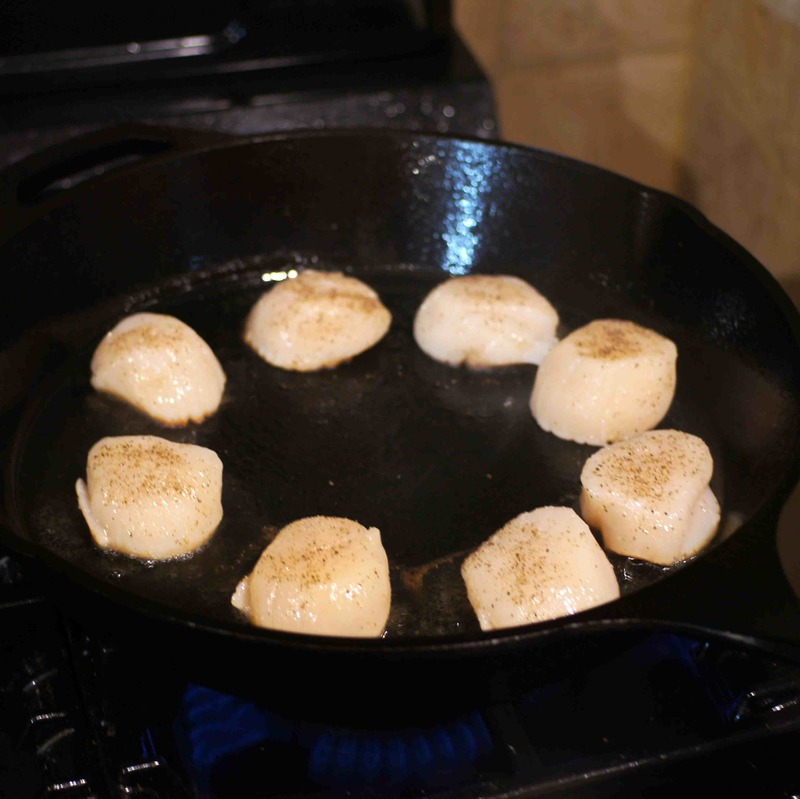 If you use a non-stick skillet you will prevent the caramelization of scallops. Either use cast iron (my preference), stainless steel or stainless steel alloy. 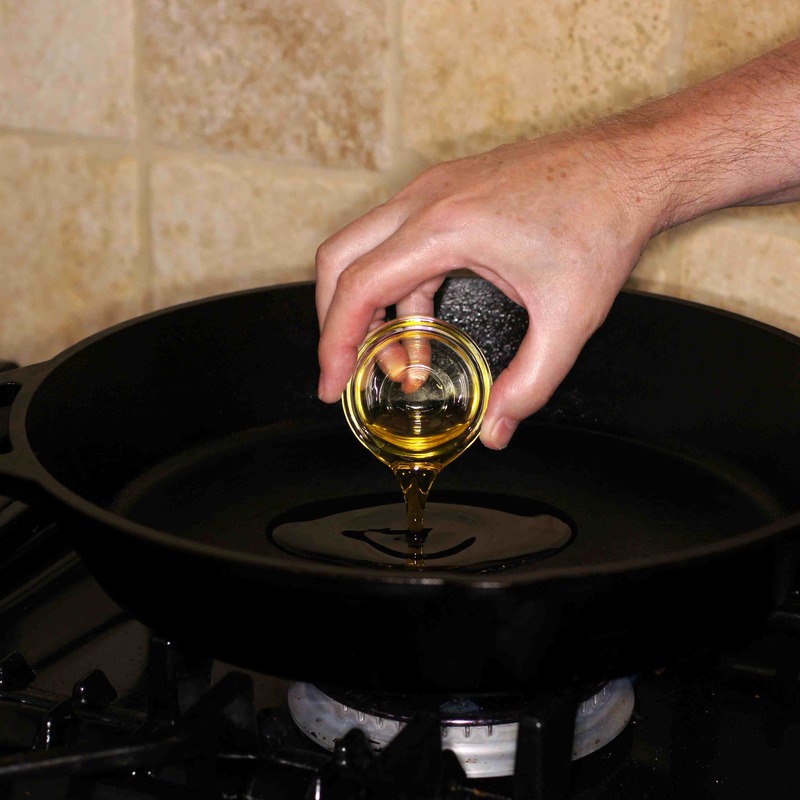 When hot, add the oil to the skillet. Now, add the seasoned scallops to the skillet being sure to give them proper spacing (1-1/2 inch away from other scallops) to keep them from streaming. Do not disturb them for 1-1/2 minutes. You will see them caramelize on the bottom. 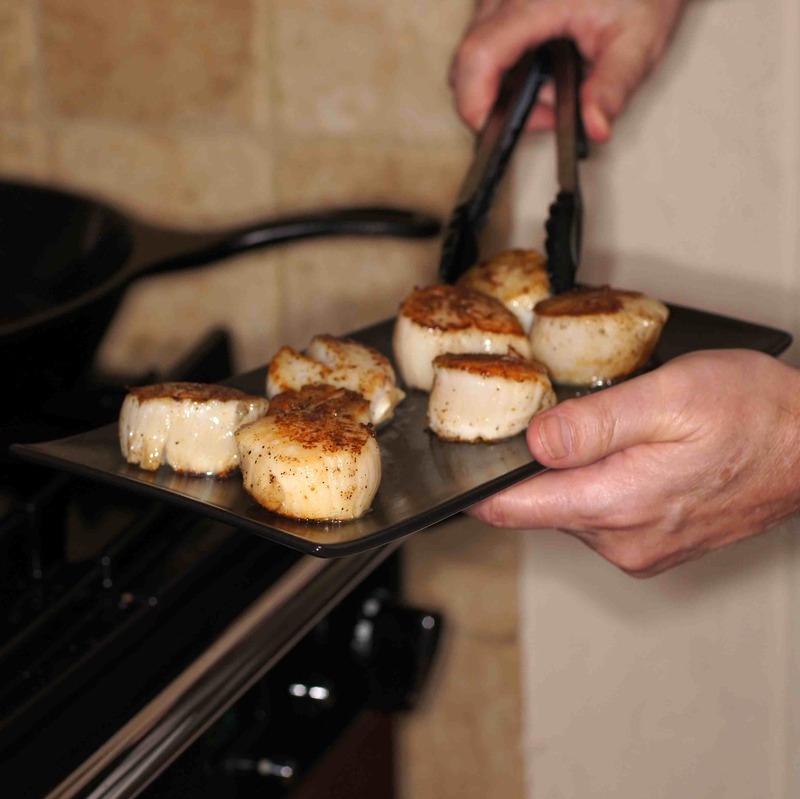 After 1-1/2 minutes, the scallops will have sufficiently caramelized so as to release from the pan. So, turn them, again maintaining their spacing. Cook for another 1-1/2 minutes or until they are almost opaque in the middle. Make sure you do not overcook the scallops. You would rather have them underdone than overdone. If you undercook a scallop, it will still be delicious. 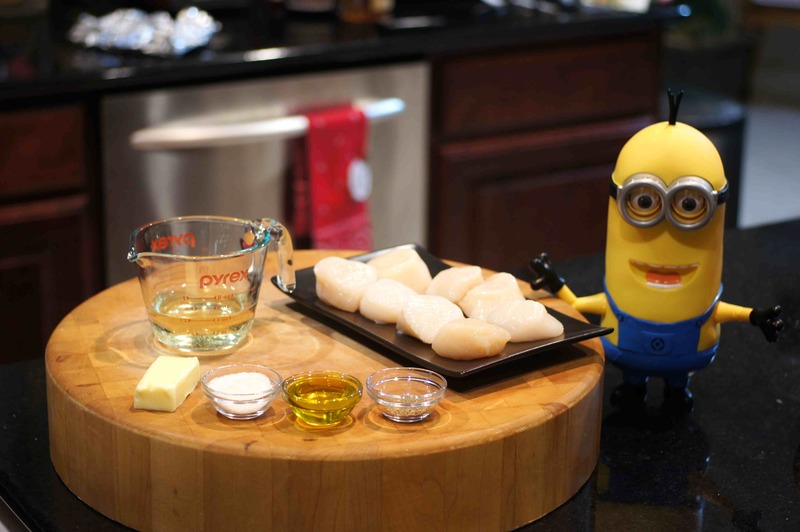 If you overcook a scallop, it will get rubbery and not as tasty. 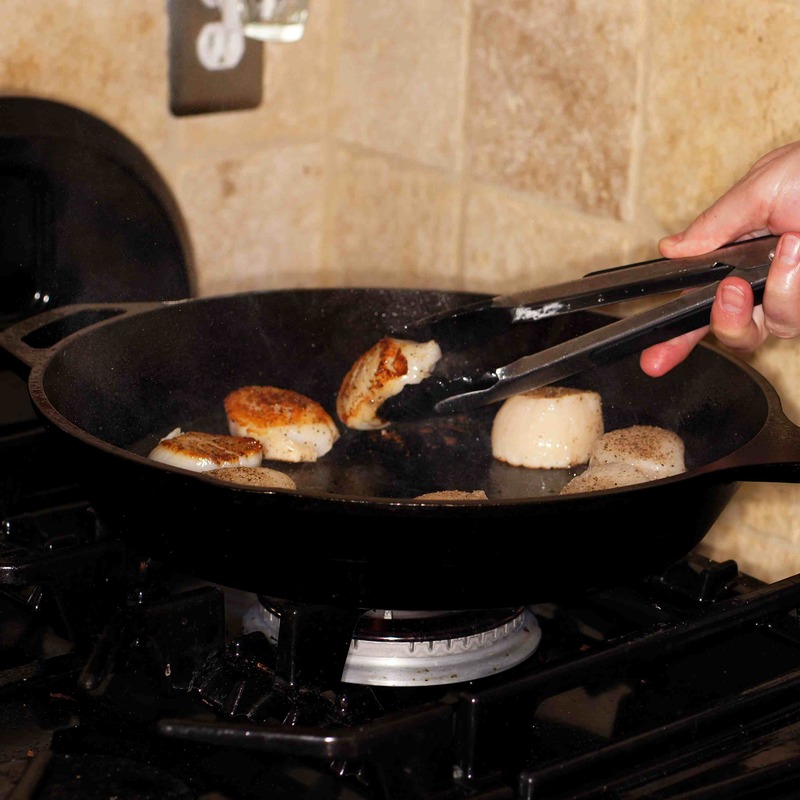 Also, remember the residual heat from the pan continues to cook the scallop after you take it off the heat. 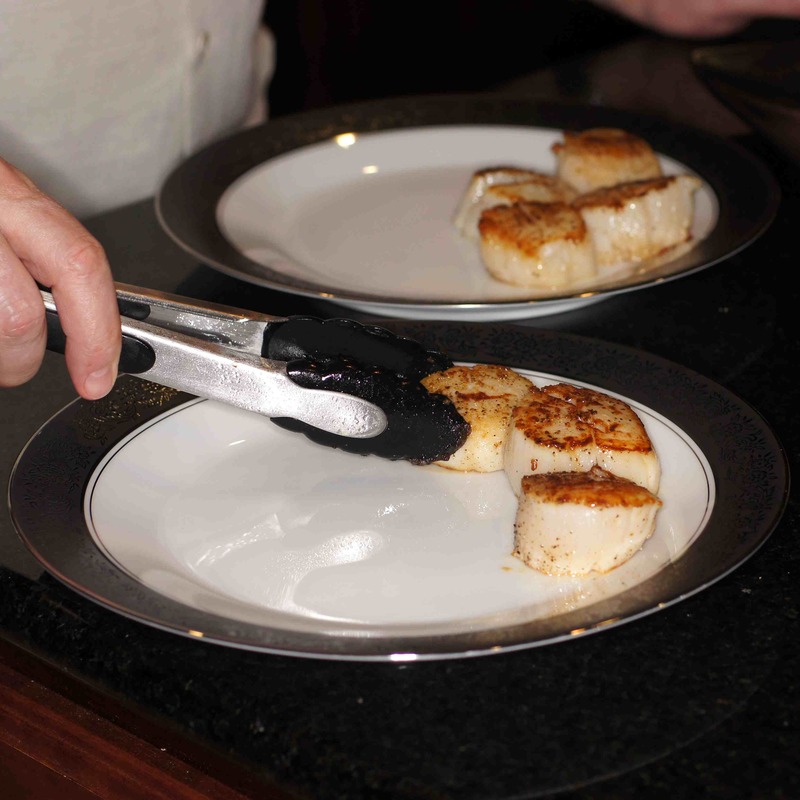 Once the scallops are almost opaque in the middle remove them to a separate plate until ready to serve, roughly 1-1/2 minute. Once you remove the scallops. add the butter to the skillet. 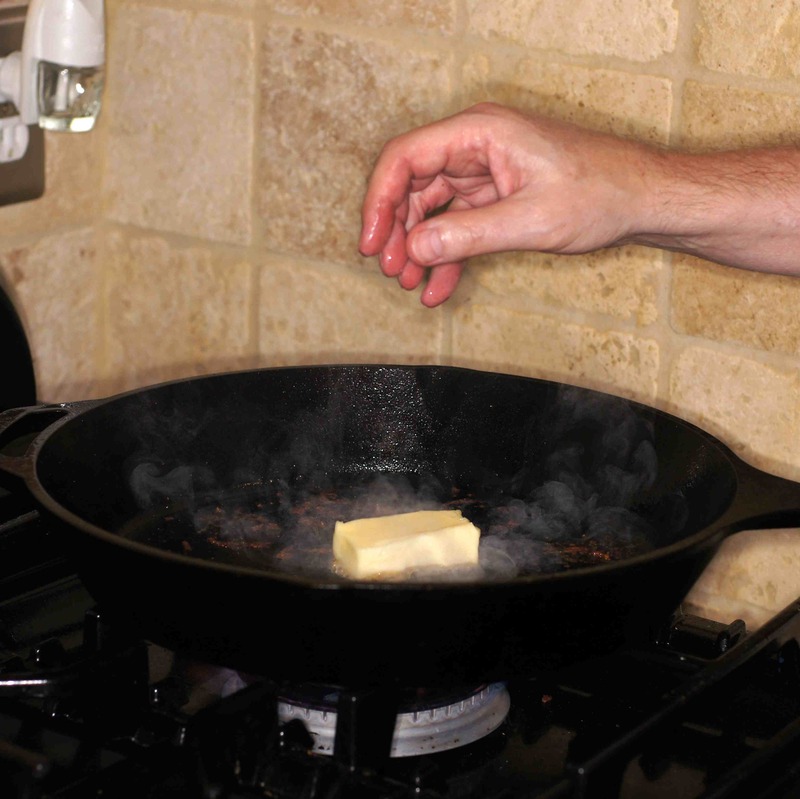 Once the butter has melted, add the white wine and deglaze the skillet whisking to scrape up the sucs/fond (little caramelized bits on the bottom of the pan) from the skillet and incorporate them into the sauce. Now, while the scallops have rested, they will have released some of their liquid. Add this to the sauce, as well. Reduce the sauce to your desired consistency. 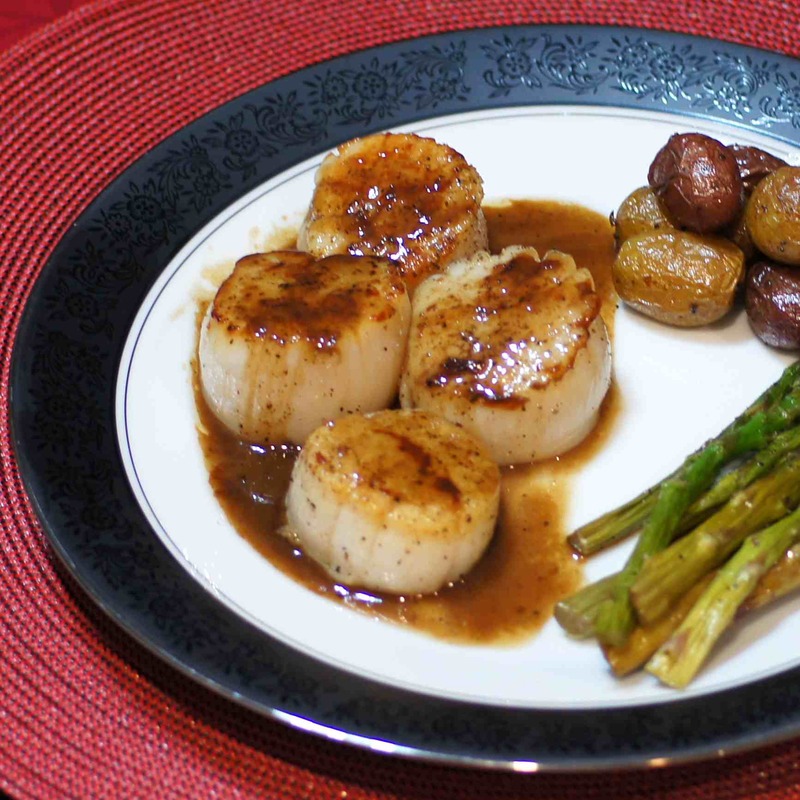 Scallops and asparagus: absolutely my kind of food ~ the simpler they are served the better the result . . . and yours are so big and plump . . . hope there was a glass or three of a dry white attendant also . . 🙂 ! Hi, Eha. Thanks for the nice compliment. 🙂 Yes, we made sure there was a glass or three of a very nice Chardonnay. Looks wonderful! Yes, you are right, blogging does take time. I love quick recipes…they are lifesavers! Great advice on the spacing Richard, I have managed to ruin them more than once by over packing the skillet. You’re welcome. How did the surgery go? Thanks for asking. As you can imagine, he is in a lot of pain and very cranky. He didn’t respond to the oral pain meds after surgery so they wound up giving him 4 mg of morphine, kept him a little longer and changed his pain meds. The new pain meds seem to be working somewhat. Hopefully, he will get some sleep tonight. We’ll see how tomorrow goes because they take the packing out and put splints in. I’ll be here until next Tuesday. They used packing? Yes that is quite painful. My last one they used a spray gel and I could breath right away. Did the give him something to wick moisture into the packing? When they take it out he should have pain meds on hand. Sometimes it is very painful. Here’s to a quick recovery! 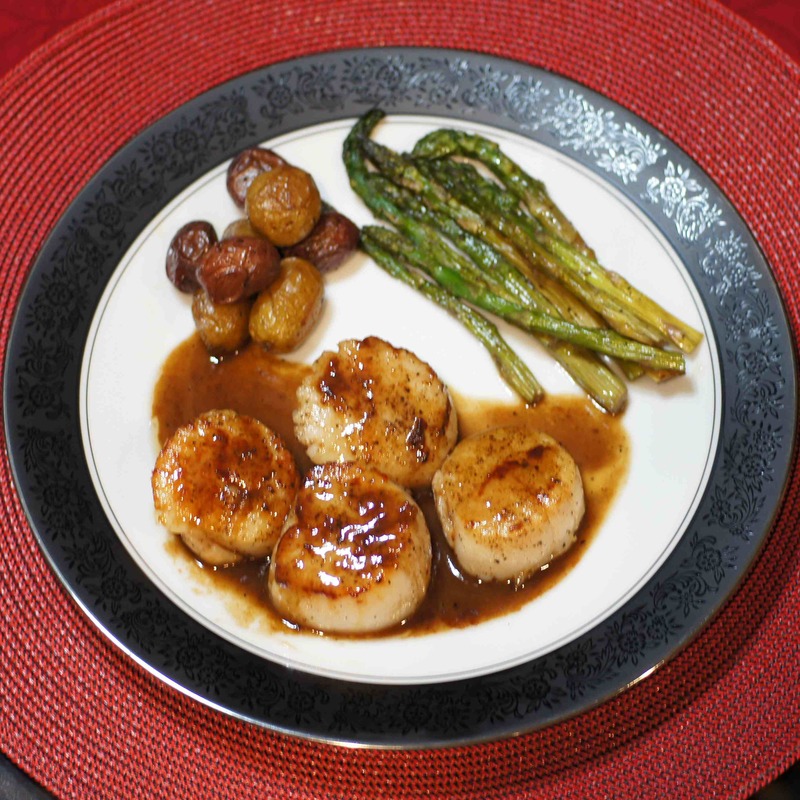 Pan-seared scallops are the best, Richard, and yours here have my mouth watering. I don’t think you could have gotten a better sear. One of the benefits of finding my fishmongers has been that 2 of them have dry scallops, a rarity up until now. Don’t think I’m not taking full advantage and enjoying it! Hi, John. Thanks for the compliment. Glad you found someone that sells dry packed scallops. They are nowhere near the same as fresh but are a marked improvement over the wet pack. I totally agree with you about how much time posts take. 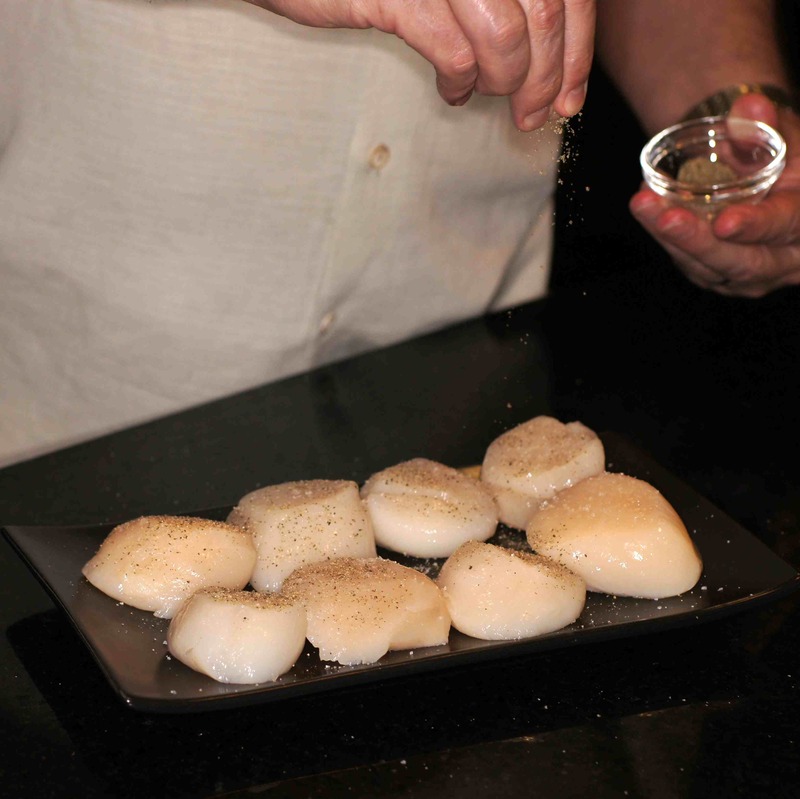 It can be daunting at times.The scallops are simply delicious and worth every minute you spent on them. I love simple and fast recipes and will surely keep this in mind. Best wishes! Thanks, Karen. Yes, I’m in Maine with Daniel which is partially why the dearth of posts of late. Surgery was this morning. He is in a lot of pain and very cranky. He cannot lie down and is sleeping somewhat upright in a bed lounger I bought him. We’ll see how tomorrow goes because they take the packing out and put splints in. Oh that dinner looks delicious! And so easy!